For over 43 years the Haas family has been selling and servicing quality cars and trucks in the Texas market. In that time hundreds of thousand of satisfied Texas car and truck buyers have experienced the Haas Family Difference. What is the Haas Family Difference? The Haas Family Difference is the comfort and satisfaction of dealing with a trusted neighbor plus World Class Service you deserve. Fred Haas Nissan is the newest addition to the Haas dealership family to offer that famous Haas Family Difference.Now Nissan customers know whether you're searching for a new 2014-2015 Nissan model, a Certified Pre-Owned Nissan, a used car, truck or SUV, researching auto financing options in greater Houston, or looking for a quick quote Fred Haas Nissan can help. 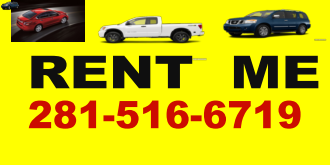 Customers searching for a new Nissan sedan like the Altima, Maxima, Versa or Sentra, or those in the market for a new Nissan SUV or CUV like the Armada, Cube, Juke, Murano, Murano Cabriolet, Xterra, Rogue and Pathfinder, a new Nissan truck, like the Titan or Frontier, a family hauler like the Nissan Quest minivan, a sporty little coupe or convertible like the GT-R, or Nissan 370Z, or an all-new Nissan Electric Vehicle like the LEAF will find our friendly, professional staff ready to provide you with all the help you need. We are happy to announce the expansion of our Rental Car department to the public for leisure, corporate, insurance and service replacements . We also provide direct billing . Weekend specials available .